For more than 20 years community volunteers have been delivering fully prepared meals to senior citizens and the homebound in the Pearland area. 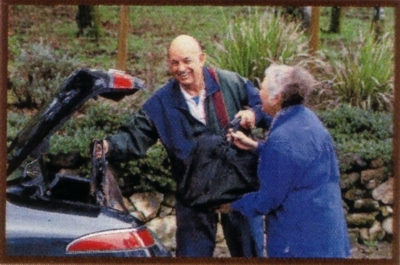 It has allowed many individuals to remain independent in their own homes rather than having to move to a care facility. Each Meals on Wheels delivery is made by a driver who also checks on the well-being of each client - bringing peace of mind to the clients and their families. 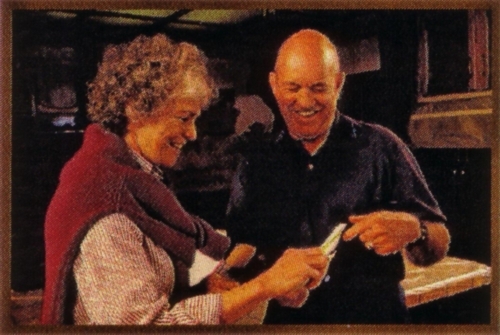 Equally important are the smiles and companionship that accompany each meal delivery. 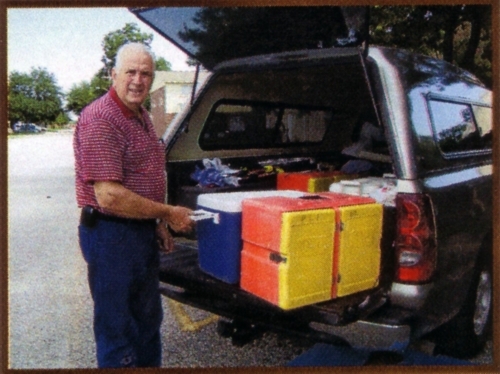 For many homebound clients, the Meals on Wheels driver is the only person they see during the day. The nutritious meals served to Meals on Wheels clients are carefully prepared by trained staff in the kitchen of Memorial Hermann Hospital Southeast. Special dietary needs, such as low sodium and low sugar are accommodated and every meal meets the 1/3 of the Recommended Daily Allowance (RDA) nutritional needs for adults. Hot meals are delivered Monday through Friday. • Residents in the Pearland area. • All adults (age 18 or older) who are disabled, chronically ill or frail and unable to shop/cook for themselves are eligible for Meals on Wheels service. This program includes individuals who are recuperating from an illness or injury that is keeping them homebound and in need of short term assistance. • Donations and volunteers are needed to continue this valuable service. 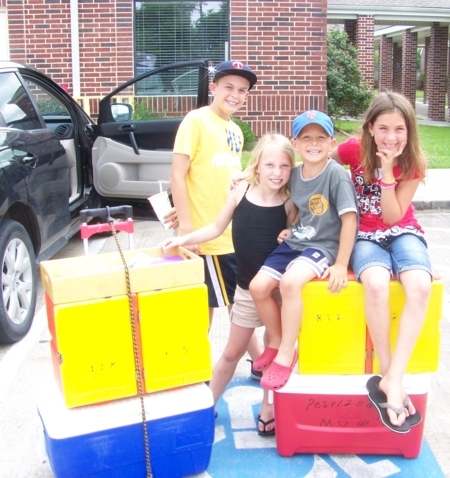 Pearland Meals on Wheels, Inc. is a not for profit corporation run by a board of directors. It is a volunteer-based organization primarily run through leadership from eight local churches. Our organization is funded through donations from these churches, as well as local civic groups and businesses and other generous donors. There is no financial support from the United Way or from state or federal funds; all support comes through the love and caring of local Pearland residents. 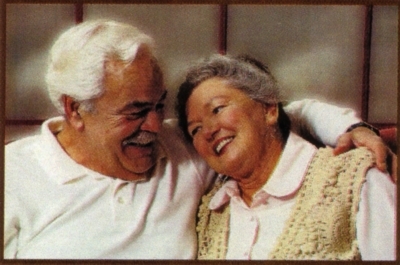 Your tax deductible donation will help seniors and others continue to live at home - independently and with dignity. 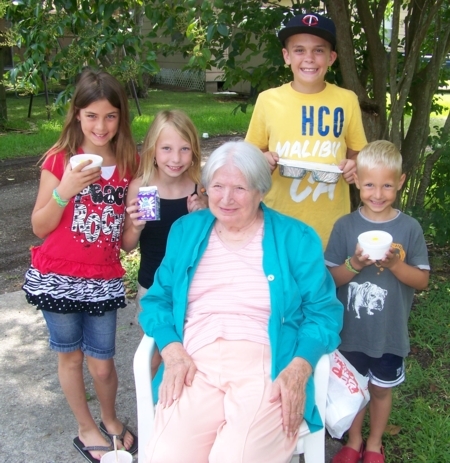 Pearland Meals on Wheels, Inc. 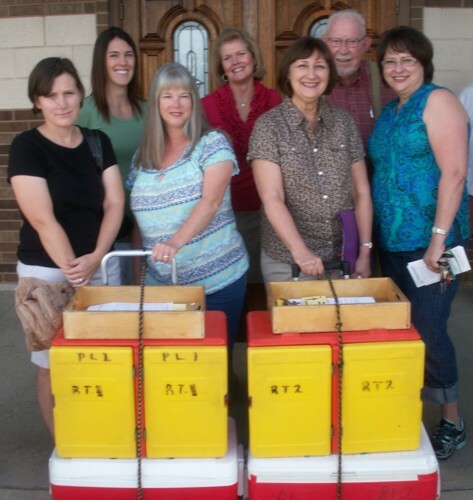 Volunteers are needed to help deliver Meals on Wheels. Food pickup and deliver times usually run from 10:00 a.m. to 12:30 p.m. Monday through Friday. Since eight churches are currently involved in making deliveries, each church delivers meals for one week out of every eight weeks. Therefore, volunteers typically will deliver meals one day every eight weeks.